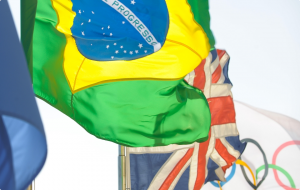 The London 2012 debrief was held in Rio de Janeiro last week, as previewed by “Back on the Block”, the newsletter published by New Millennium Business. Some 500 people attended the debrief’s various streams and workshops – 65 from London 2012 led by Seb Coe and Paul Deighton, 350 from Rio 2016 (including central Brazil, Rio State and Rio City government partners), 50 from Sochi 2014, 20 from PyeongChang 2018, and 6 from each Candidate City for the 2020 Olympic and Paralympic Games. For the Rio 2016 organising committee, Carlos Nuzman will preside along with his newly appointed CEO, Sidney Levy. This was the 7th such transfer of knowledge between organisers of Olympic and Paralympic Games and future host cities – a key part of the IOC’s knowledge management program (OGKM). OGKM was created during preparations for the Sydney 2000 Games. The week-long program focused on planning and operational and technical elements of organising Olympic Games, such as sport, accommodation, transport, culture, education and logistics. There were also sessions dealing with the experience of participants of the Games, including athletes, spectators, workforce and the media. Presentations were in two main streams, one focused on the Games, their planning and delivery; and the other focused on governments’ responsibilities and opportunities. “What I’m learning from talking to Paul Deighton is that you’ve got to run the Olympics as a limited company with transparency with clear budgets and a clear division of responsibilities” – Sidney Levy, the newly appointed CEO of Rio 2016, speaking to insidethegames. “The Olympic Games are different each and every time, which adds to their endurance and appeal.” - London 2012 Chair Sebastian Coe. And in that you can see how the business opportunities for each future Olympic Games and similar mega sporting events can unfold. This was a very carefully managed and programmed event with principal stakeholders taking the limelight – promoting the Olympics ‘franchise’ and the IOC’s standing and most importantly presenting a structured transfer of knowledge from London to Rio. For London, this is the culmination of years of planning and exceptional Games presentation and delivery. Equally, it is the UK government’s sharp way in to engagement with Rio 2016 and the three levels of Brazilian governments. Rio 2016 arguably needs the knowhow and the how-do you-do-it that London delivery companies can provide. In my view, there is so much confusion about the complexity ahead of them, that Rio will gladly adopt templates they need from London, including key specialists. This won’t preclude companies that were not present in London but certainly those who did work on the London Games will have a valuable advantage…and almost certainly each will be endorsed by LOCOG, the ODA and the UK Government. Paramount now for Rio 2016 is identifying and securing international experts with proven capability to assist their programs of preparation. Rio has slipped a long way behind its own timetable and some key decisions are needed very soon on venues, core operational concepts and commercial issues. The means of funding much of the 2016 Games intertwines the three levels of government in a complex Brazilian fashion and this needs simplification for efficient transfer of funds to the appropriate projects. And there is no doubt this debrief will provide some value and ‘rub-off’ that benefits preparations for the FIFA 2014 World Cup preparations across 12 Brazilian cities – much of which is not proceeding to schedule. 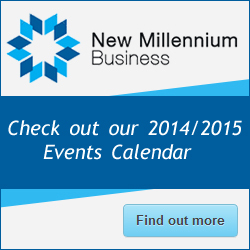 New Millennium Business is able to provide a list of topics covered at the debrief. Notwithstanding the ‘Rio campaign’ by the UK, there will be significant opportunities for clever Aussie events specialists such as yourselves. New Millennium Business will be able to help you bridge the distance and get engaged. And don’t forget the special event, “London, I knew you well”, our version of the debrief being held on 17 December.